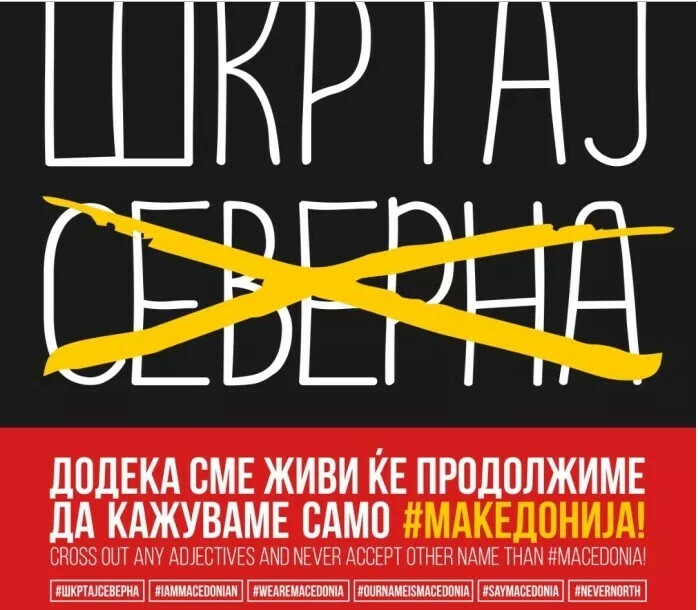 The Boycott movement of activists who successfully called for boycott of the September 2018 referendum to rename Macedonia, are calling on the public to reject the name change be removing the word “North” wherever they see it. Cross out the North, is the motto of the campaign, which began on the Macedonian social media accounts today. Under the name deal signed with Greece and pushed through Parliament despite it being rejected at the referendum, the future official name of Macedonia will be North Macedonia. In the campaign, citizens are urged to scratch the word “North” wherever they see it in the future.